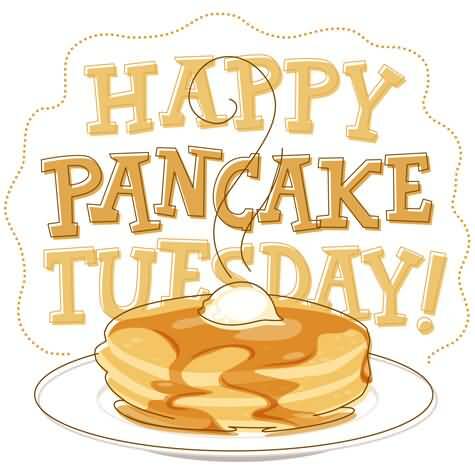 Hooray, it’s pancake Tuesday!! 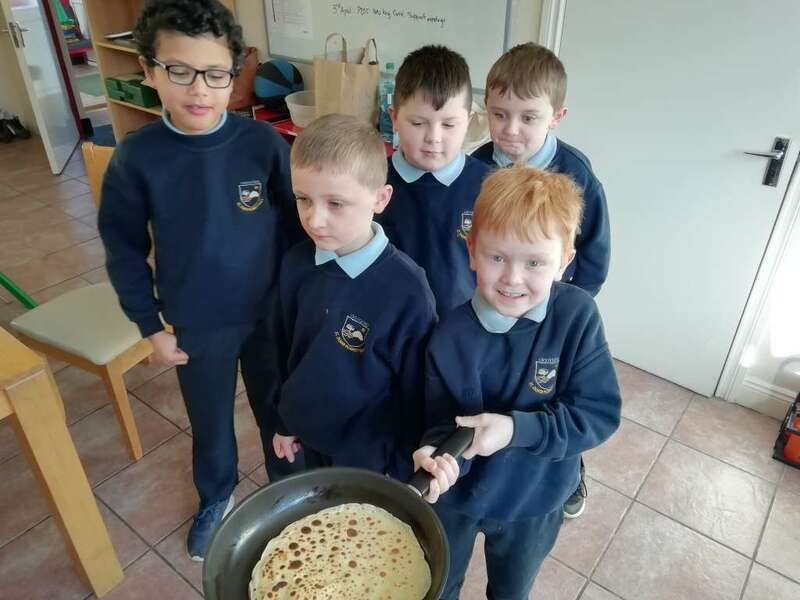 One of our favourite days here in St. Oliver Plunketts. 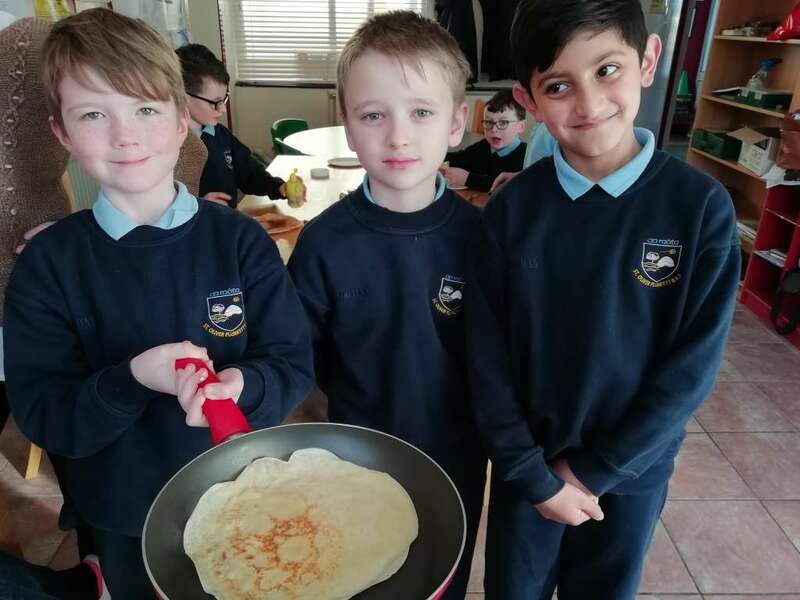 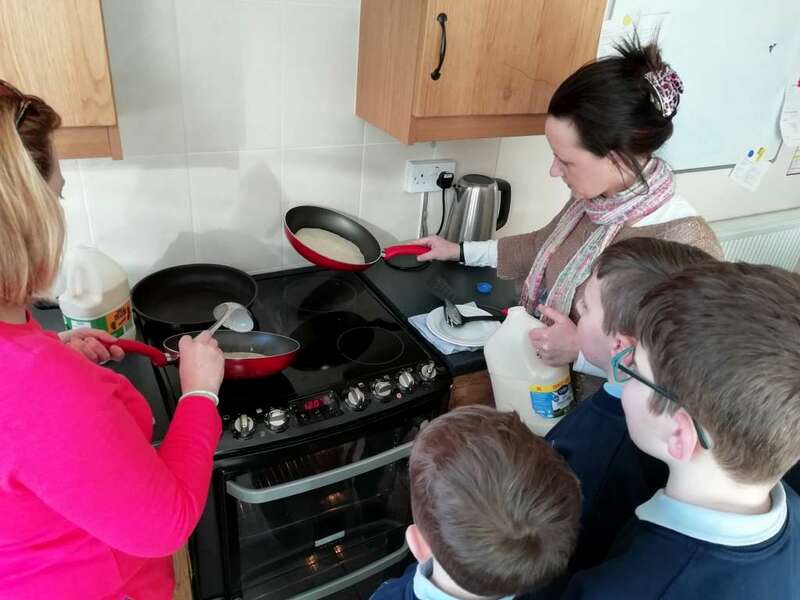 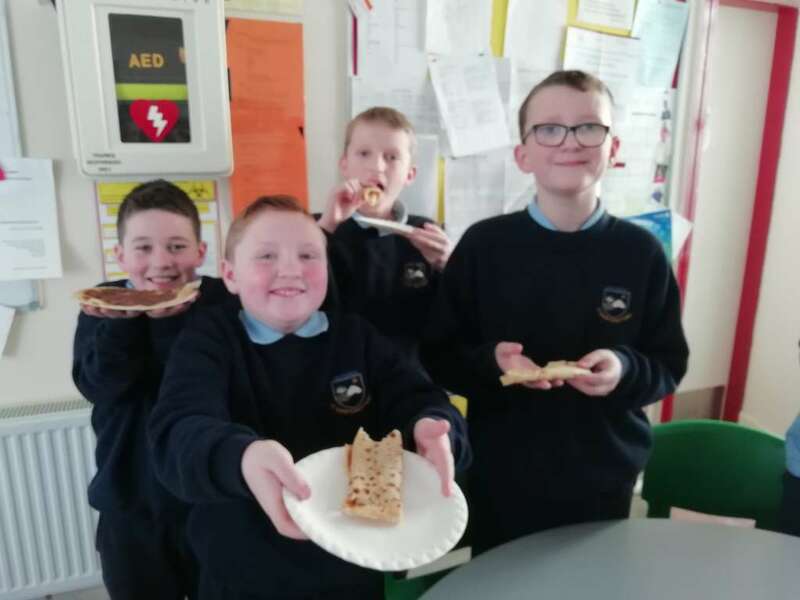 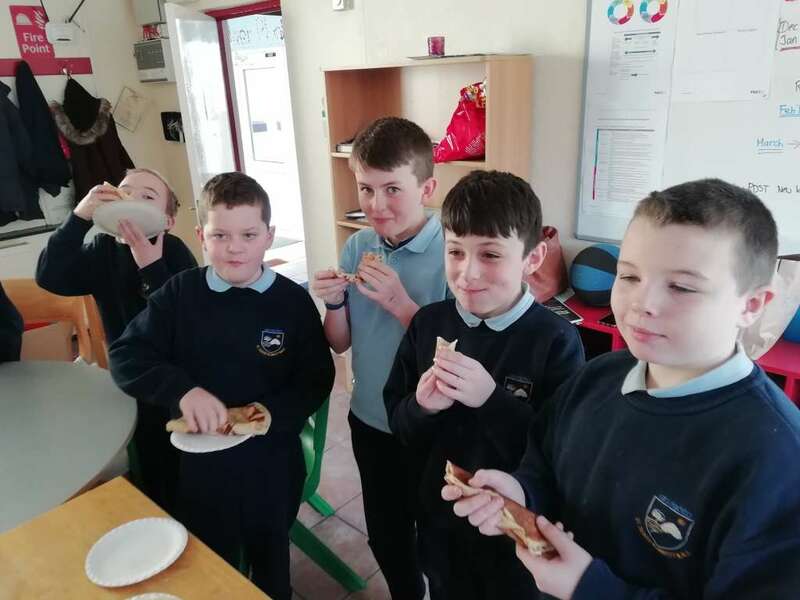 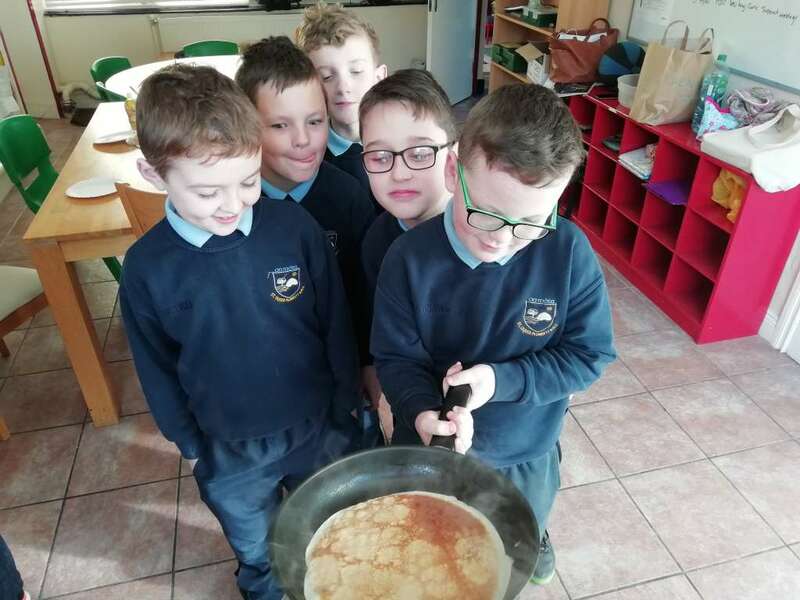 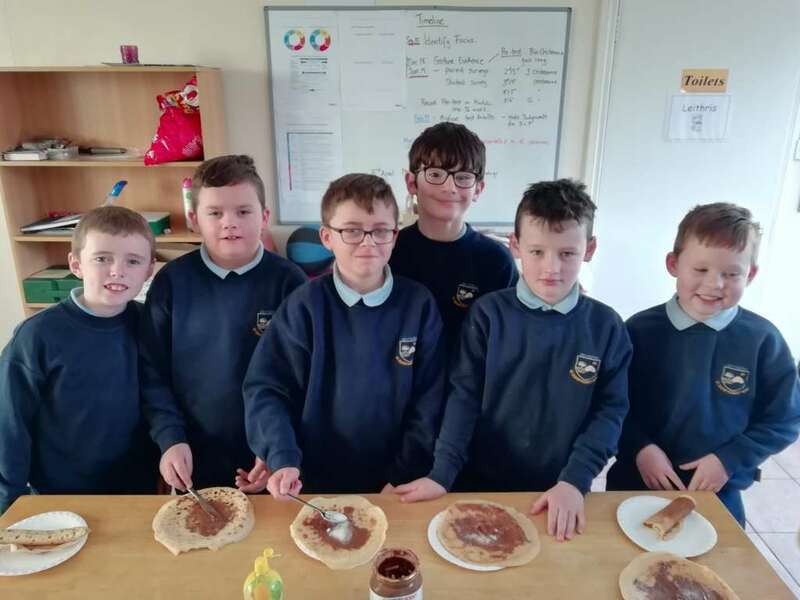 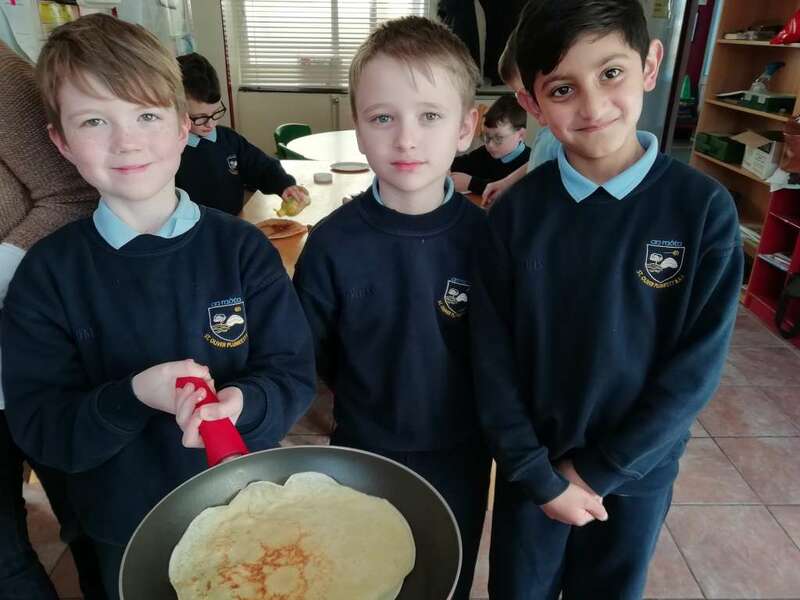 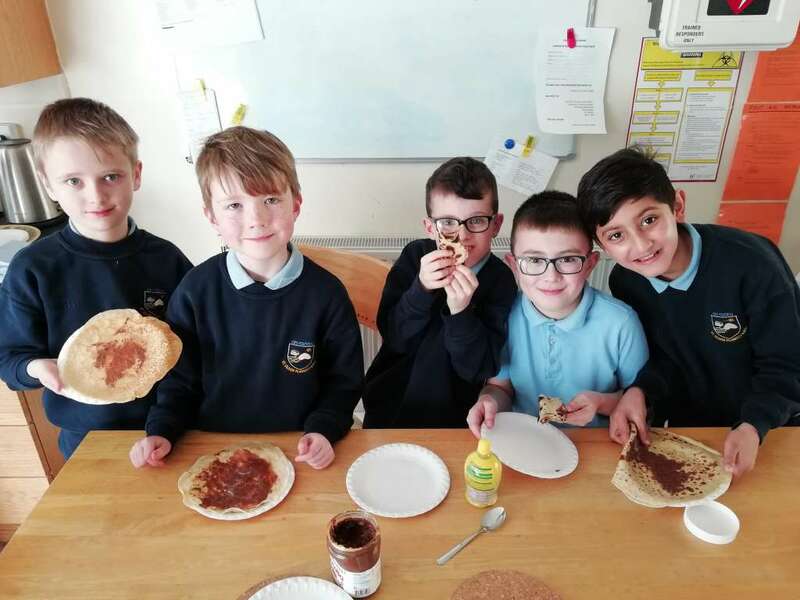 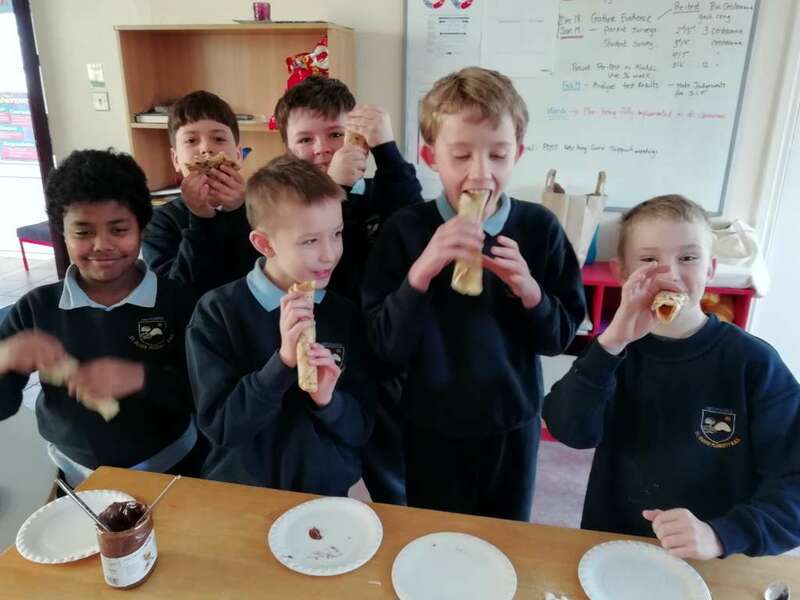 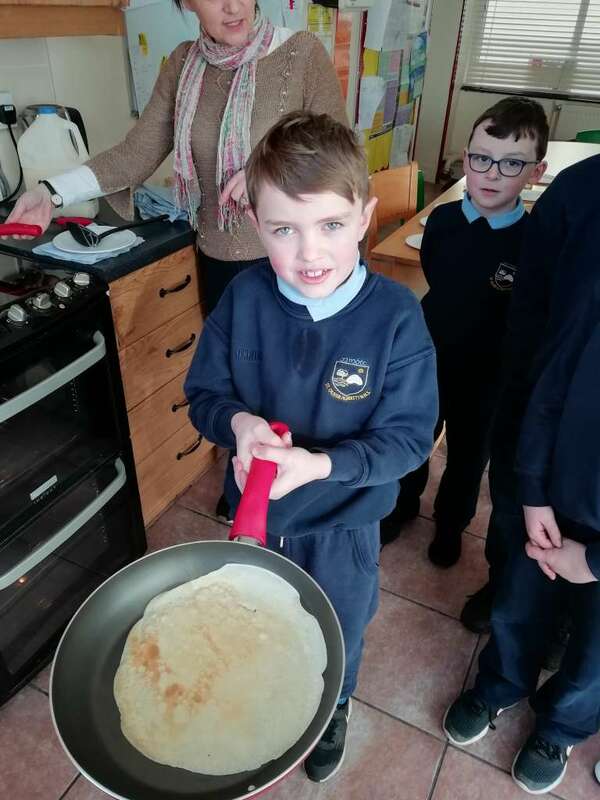 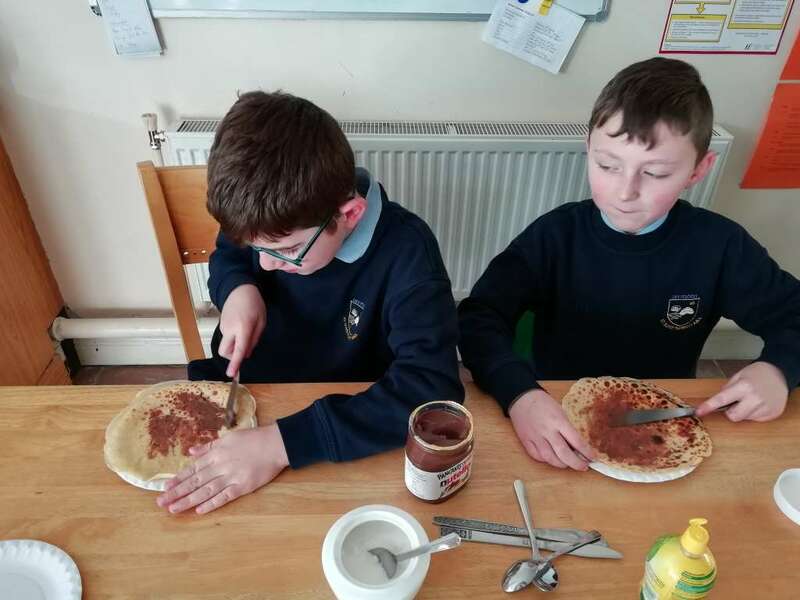 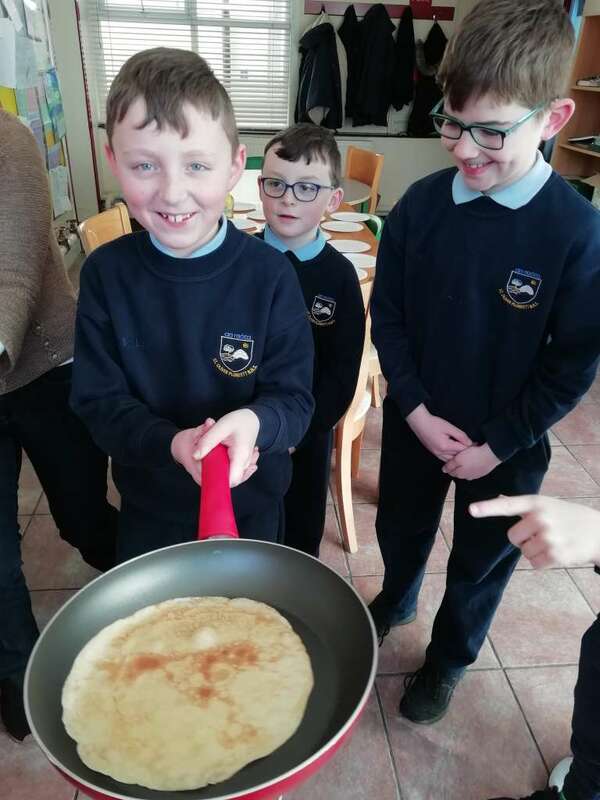 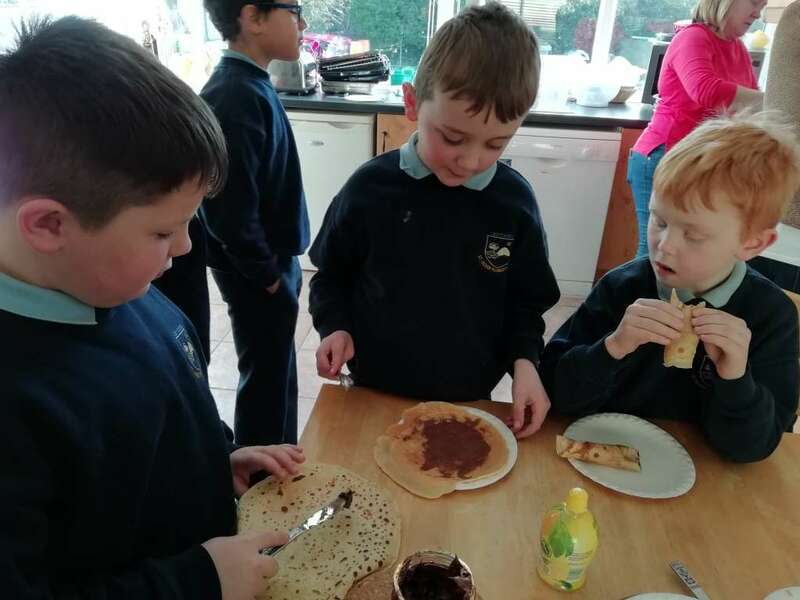 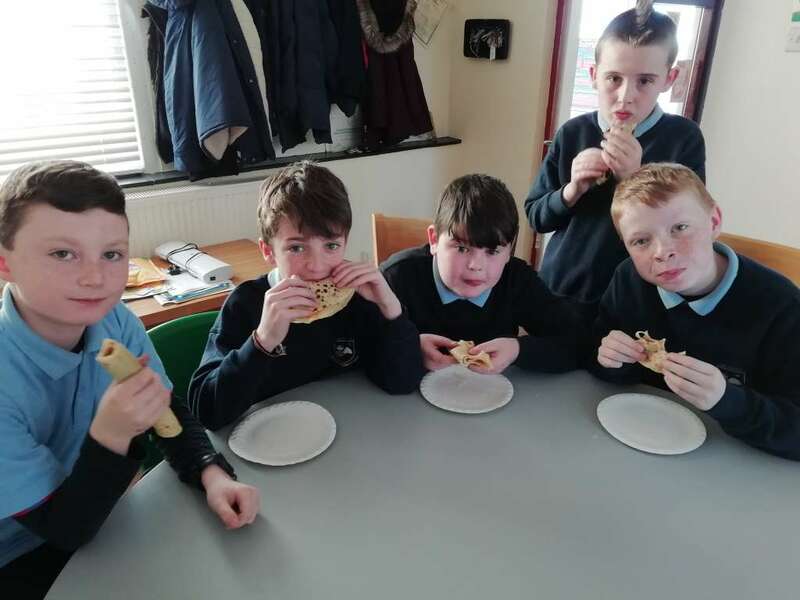 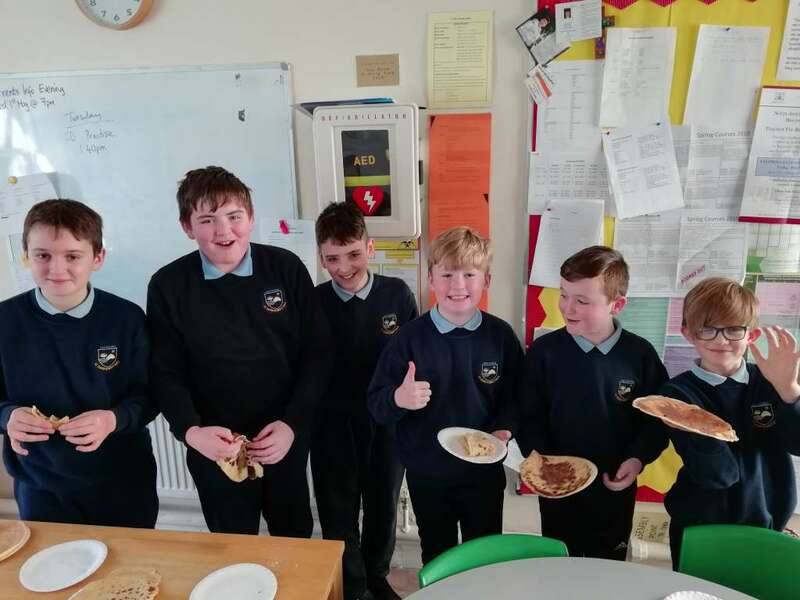 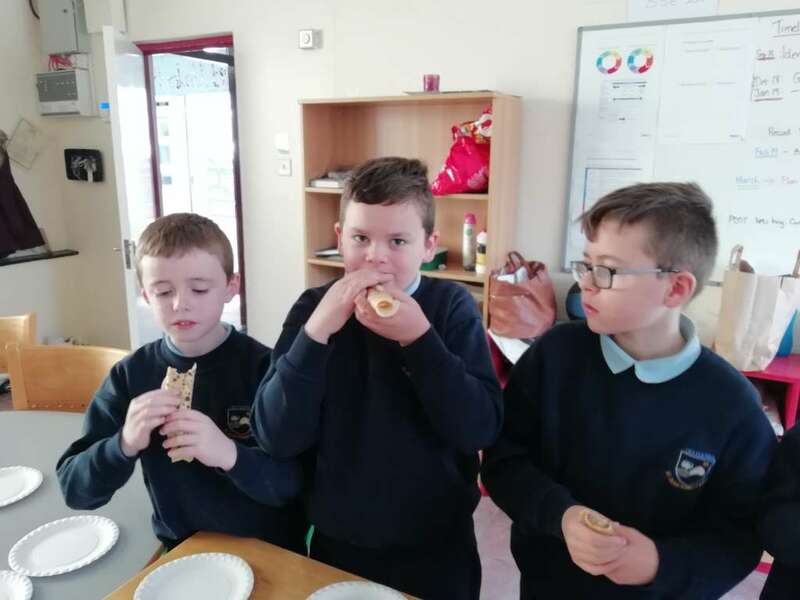 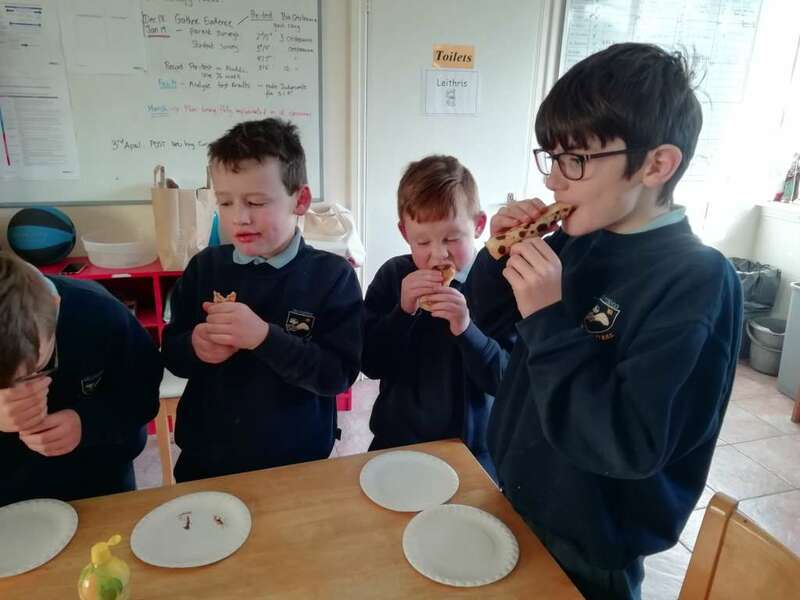 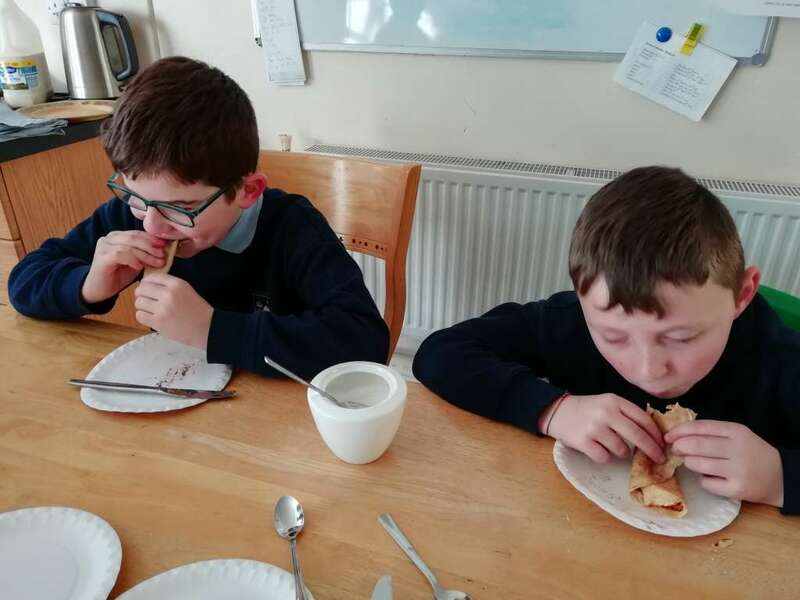 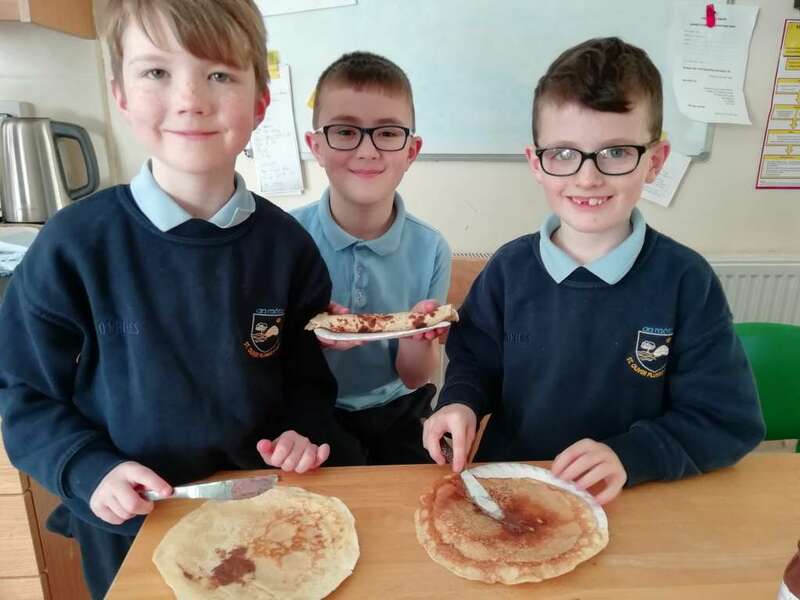 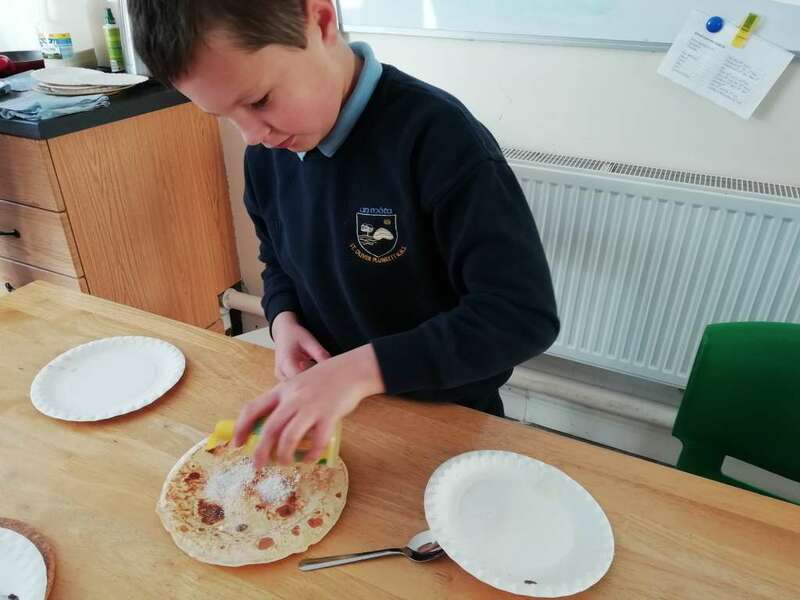 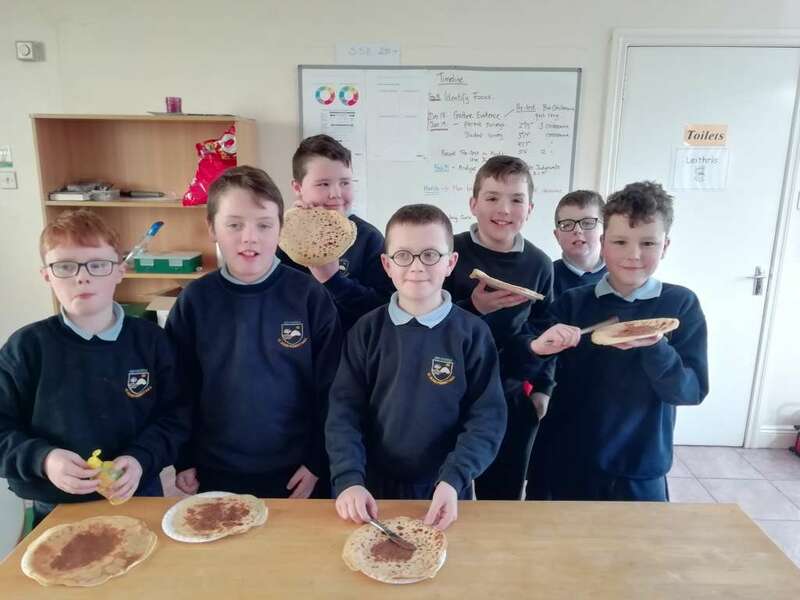 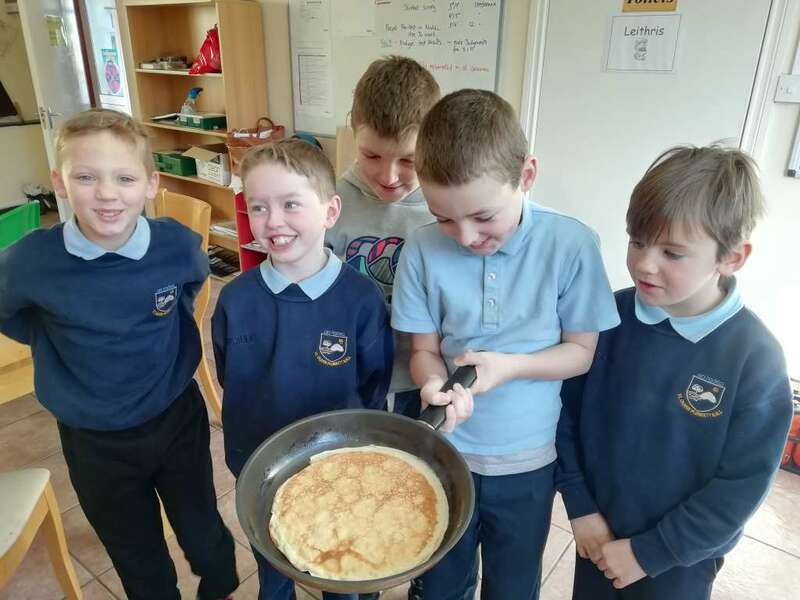 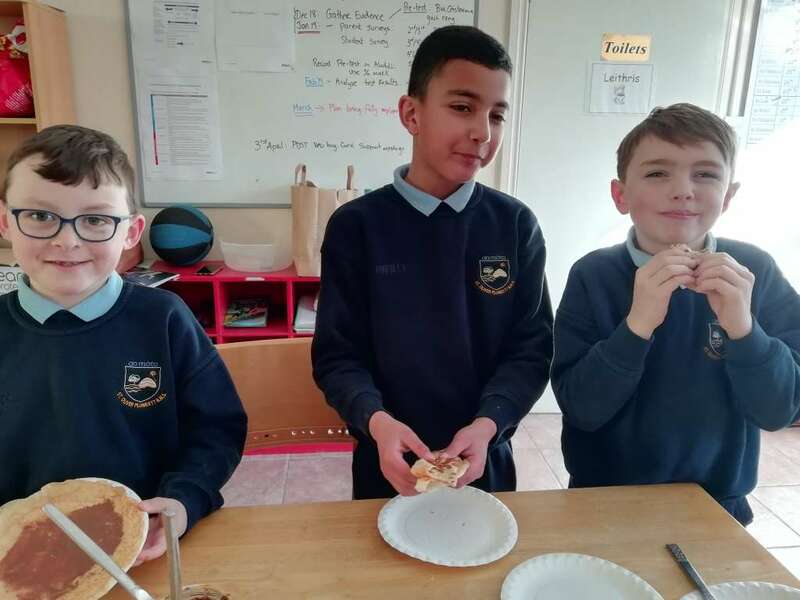 After learning about the ingredients and the method needed to make pancakes, as Gaeilge, it was time to get to work. 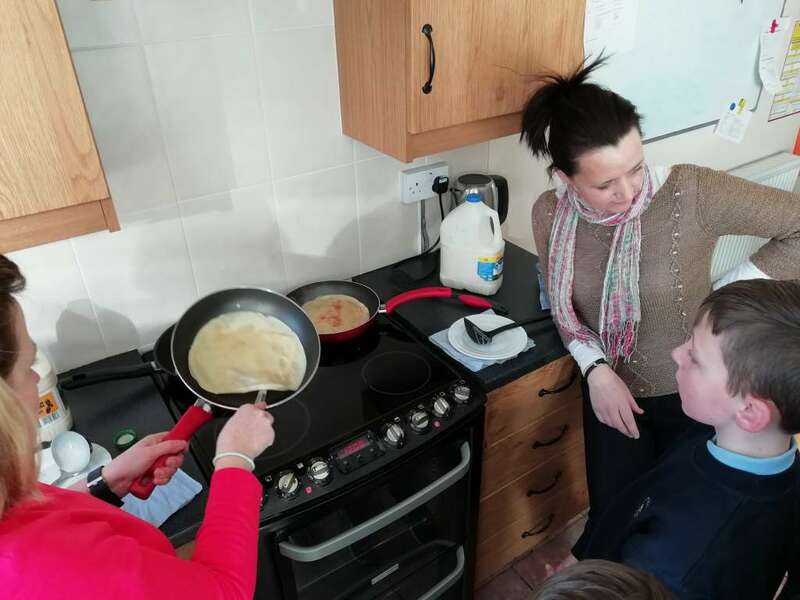 With 3 pans on the go at once the pancakes started piling up. 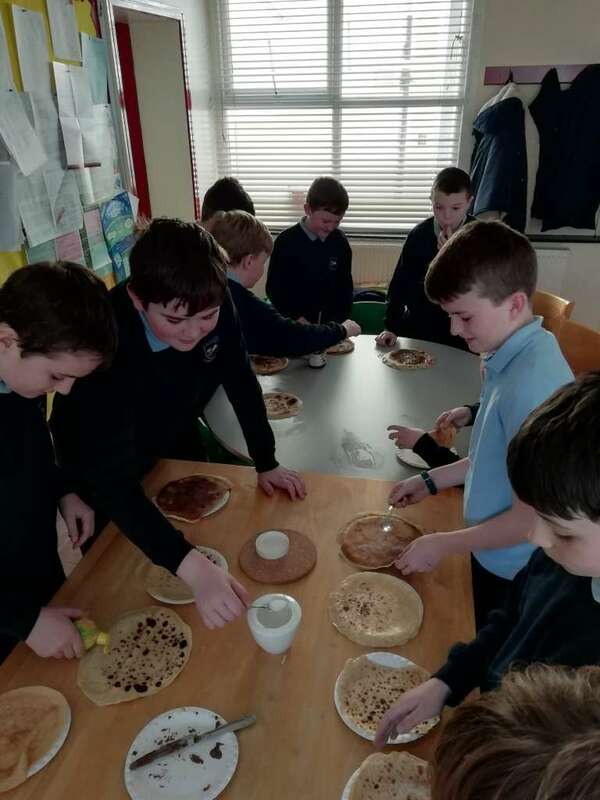 The final count was about 120!!! 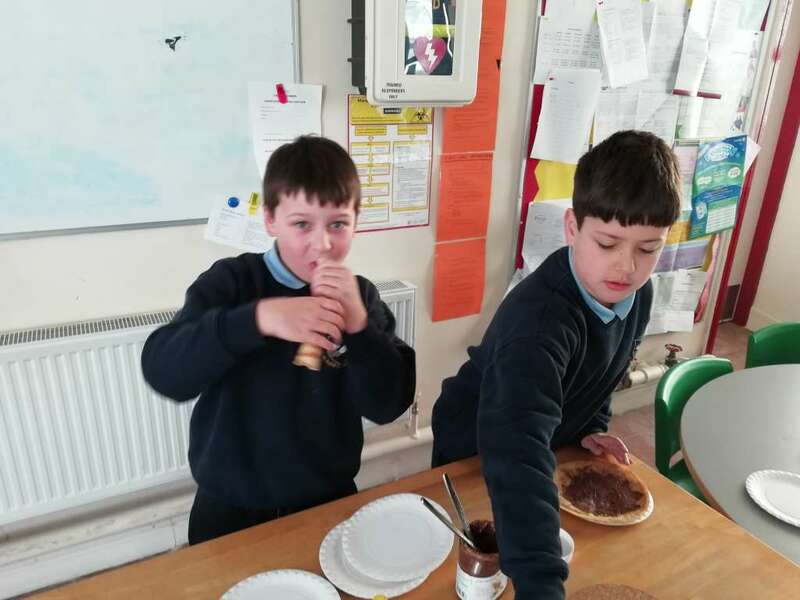 Of course we couldn’t let them go to waste so luckily there were plenty of volunteers to help eat them up. 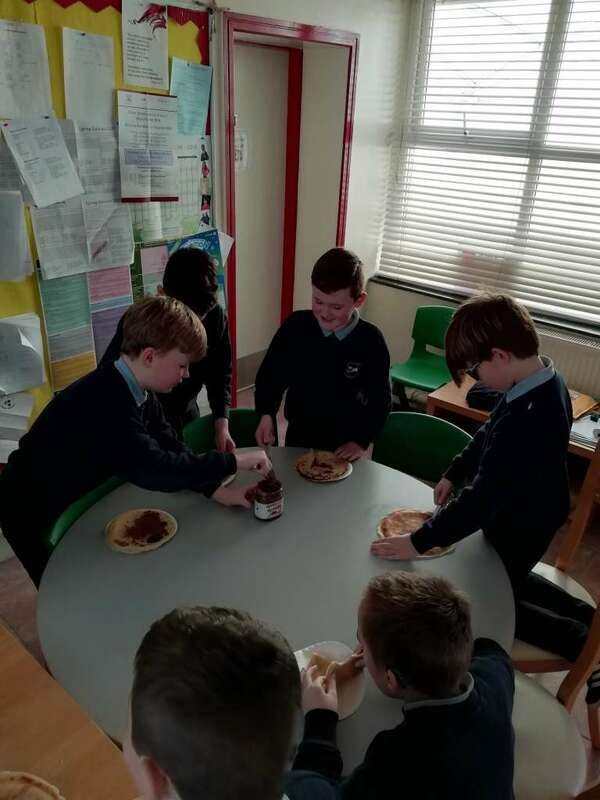 Wasn’t it very strange that all the teachers “forgot” their lunches today! 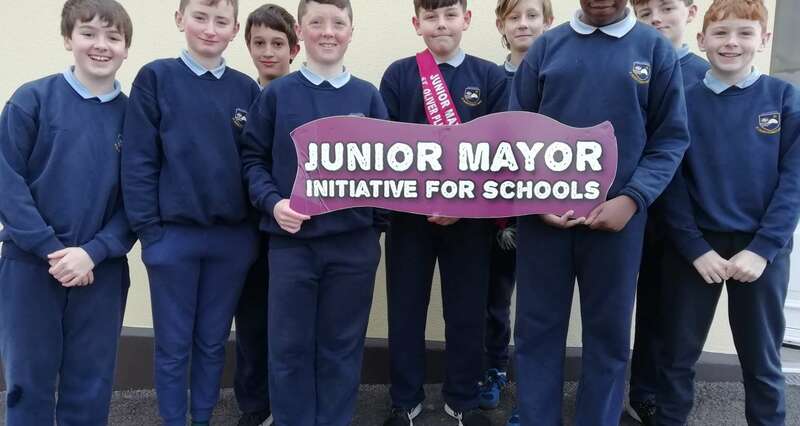 Ye can’t fool us! 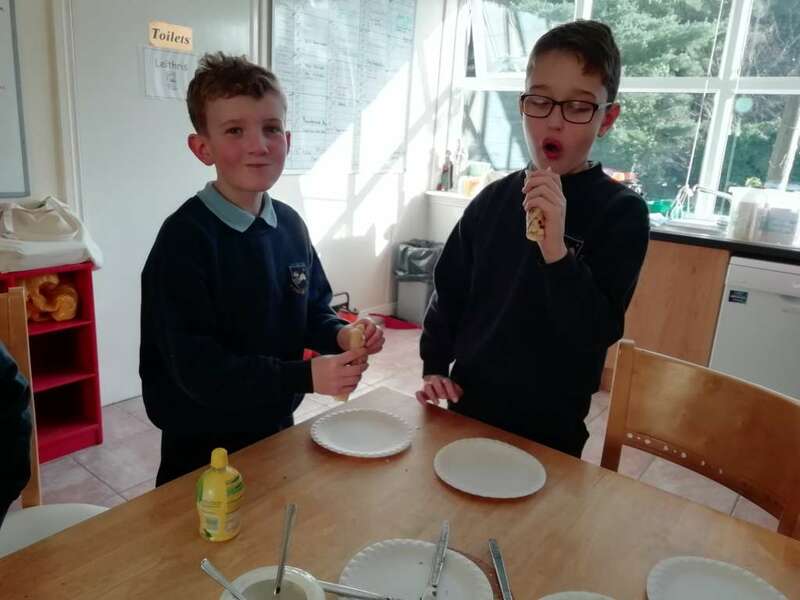 Check out our instrunctional video and our photo gallery below to see how we got on.